Lebanon received a record number of tourists in 2010 – more than 2 million in a country with a population of 4 million, according to published reports. Beirut alone offers a waterfront, a hip night scene, archaeological sites and fine cuisine. Much of the city’s downtown has been rebuilt following the civil war, which ended in 1990. Hopefully the surge in tourism will continue despite ongoing political turmoil. 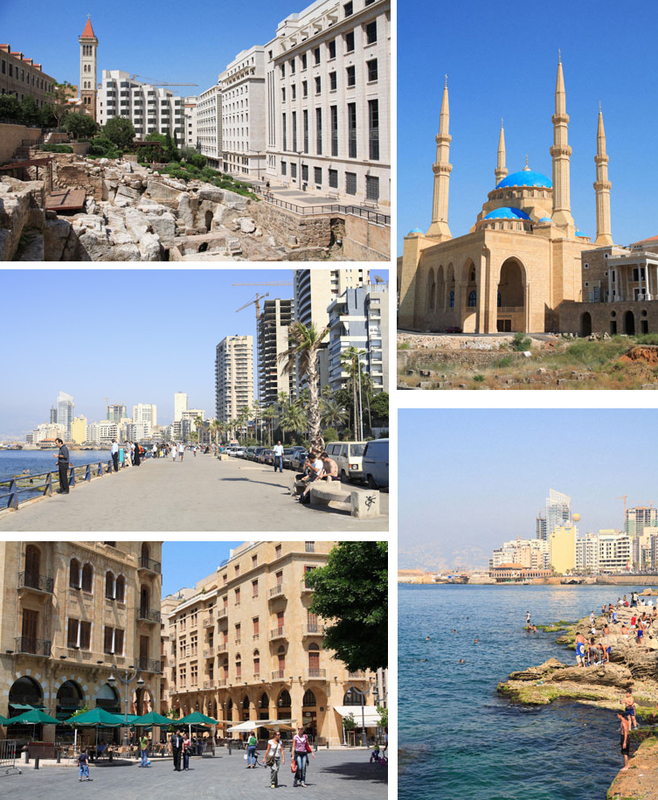 Pictured above is Beirut’s Mediterranean hugging Corniche, Roman baths, Place d Etoile and Mohammad Al Amin Mosque. These photographs have appeared in magazines and newspapers. Has political strife stopped you from traveling to a destination you have always wanted to see? I'd love to go to Lebanon, Beirut especially! My mother went back before the civil war and remembers it as absolutely gorgeous, but we haven't got a chance to go yet... Hopefully we'll get there eventually! I would love to travel the Middle East more extensively... and no, I have not been stopped to travel somewhere due to a political situation - luckily! Beruit is really beautiful.In my mind, the city is still associated with war because that's the only thing I heard about it for so long. I'd love to explore it now. Yes, political strife definitely prevents me from visiting certain locations. As a solo woman traveler, I can't ignore facts like that. 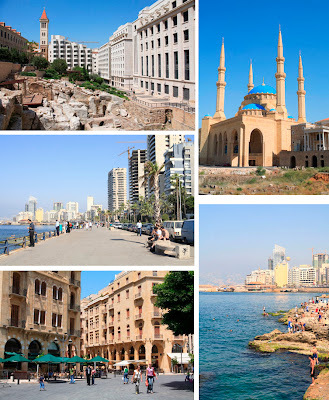 I can't wait to visit Beirut one day, I have a feeling I will fall in love instantly! Bronwyn, Back in the day Beirut was for the jet set crowd. Would love to have seen it then. Catherine, Bet you will make it there one day. Kristina, so much to see in that part of the world. Andrew, I'm sure you would love it. FlyGirl, I think you's really enjoy the county as a whole. Andi, Hope you make it there sooner rather than later. can u share a link to the report you quote? Jakub, Local press in Lebanon has reported this as well as the Associated Press.